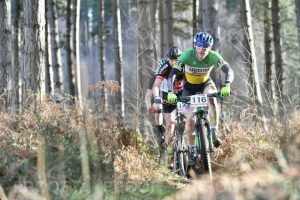 A good winter of training has geared me up ready to try and have a good crack at racing this year, including Battle on the Beach, the National series and the Midlands series. The plan is also to do a few of the more fun FNSS races including Delapre Abbey, Airfield Farm and Hicks Lodge. Having set myself a reasonable training plan including some proper weight training (which would seem to have been a really good idea – spoiler alert) I felt that Sherwood would be a good opportunity to see how my training was going and what my fitness was like compared to last year. 1. To have a nutrition plan and stick to it. 2. To really push the pace on the fireroad sections – I’ve eased up too much here on the past. 3. 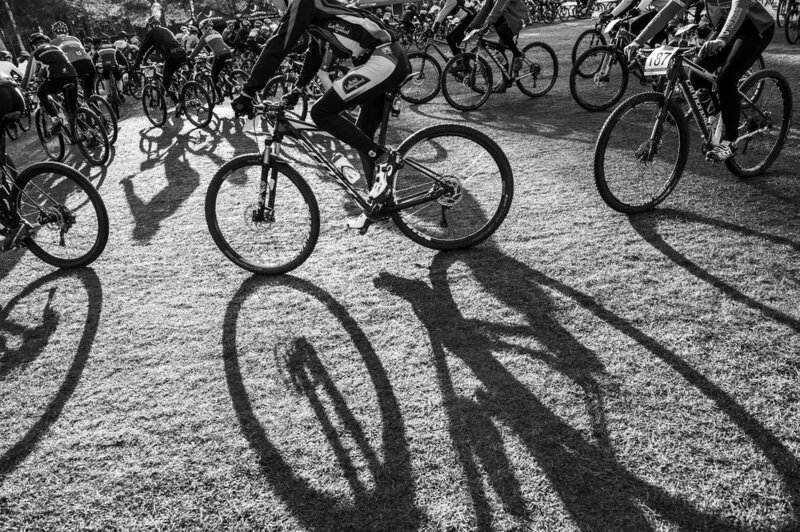 Keep pacing consistent – try to ensure every lap is within 5% of the fastest. So, Nathan and I travelled up to Sherwood on Saturday ready to pre-ride the course and get warmed up. We share bottling duties; I pit for Nathan on Saturday and then he does the same for me on Sunday. After a good warm up and course recce Nathan’s race started, and unfortunately didn’t go so well. He punctured twice and his lap times suffered. He raced on in good humour though, but tough break for him! Having lined up second row, I felt confident of getting a good start. I normally have a strong start line sprint and like to get into the singletrack before weaker technical riders, so I don’t get handicapped behind them. The whistle blew, and I got a great start! At least, until some idiot came swerving across the pack doing 21mph and he promptly crashed right in front of me. I hit the deck hard, digging a furrow in the ground with my left shoulder. I jumped up, checked the bike and got on and sprinted hard until yet another rider crashed into me again! Hitting the ground on my left shoulder again was really infuriating, but you must work with the cards you’re dealt. I got back on the bike and started my race proper. This is where I think the weight training I mentioned earlier really helped. I’m a big advocate of weight training to build muscle – and building up muscle around the shoulders for mountain bikers means less chance for broken collarbones in crashes. Still blooming hurt though! 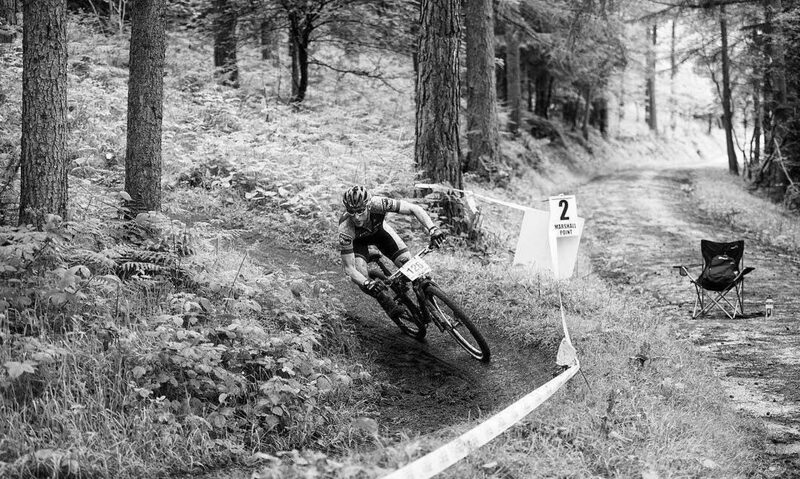 Unfortunately, the earlier crashes held me up in the singletrack until I was able to get past and start making up places and fighting my way back up the field. The first few laps went well, I pushed hard on the fireroads, but could feel that some riders definitely had more early season fitness than I did! I rode the first two laps in a group of five but attacked on lap three up a hill and got into the woody singletrack and was able to distance them through the tight pine forest. Keeping the pace high through the next two laps was tricky as I started to feel cramp starting but pushed on regardless. I felt really good through the technical sections and used the opportunity to take the A lines to overtake riders to gain yet more places. On the last lap I saw a group of three Experts as I came into the arena and pushed really hard to overtake. I was super pleased to keep the power on and crossed the line in 29th. Whilst it wasn’t the 20th place I really wanted, I’m happy that I raced well despite the starting crashes. The only downside is I’m now writing this in a sling to try and stop the resulting pain! Hopefully it will heal quickly and I can get back to training hard! In terms of my targets I’m glad to say I hit the three goals I wanted to get out of this race. 1. My nutrition plan worked well – I used Skratch for my hydration and Huma Gels for my fuel, and this worked well for me with no GI issues. I also liked the fact they’re both based on real food rather than chemicals. 2. Despite feeling slower compared to others, I really pushed myself to keep the hammer on through the fireroad sections and used the technical parts of the course to recover, i feel I made up a lot of places here. 3. My slowest lap was a 22.23, and my fastest was 21.15. This was a difference of just 4%, so within my pacing goal that I wanted! Results are here, and Strava file is here!